Jack Hodgson takes the bully mic for this episode to talk about the 2016 Tuskegee Airmen Detroit River Days Airshow. Jack and I recorded this episode June 12 or 13 and we intended to record at least one more between then and when the airshow happened June 24-26. But things happened. Jack had work things to do and took a couple of days to get me his end of the audio. By that time, I was heading to Mattoon, Illinois to be deputy commander for glider operations at CAP’s Johnson Flight Academy (at which my son, FOD, soloed at age 14 by the way – Way to go, FOD!). The day after my obligations at the academy ended, I had to be back in Detroit for performer arrivals for the show and then performances began the day after that. Long story short, notwithstanding what you hear us say in the episode, this is the only episode that we recorded prior to the show. I’m recording this in early August 2016. I won’t keep you in suspense. The show went off without a hitch other than the usual complications and all of the aircraft and performers are reusable. But there’s good stuff to talk about, mainly those complications, which range from international border crossings to an incoming storm to wind conditions to a late-breaking FAA requirement that had me calling off the show twice in a day and then trying to save it by desperately soliciting boaters. Find out all the details about how Project Spicoli resulted in yet another great hometown airshow in Detroit by listening to the follow-up episode. Jack and I will likely record the episode this month and I’ll have it in the feed as soon after that as I can. These are the show notes to an audio episode. You can listen to the show audio by clicking here: http://traffic.libsyn.com/airspeed/AirspeedHodgson.mp3. Better yet, subscribe to Airspeed through iTunes or your other favorite podcatcher. It’s all free! Even if your favorite show isn’t the Uncontrolled Airspace podcast, you probably subscribe and listen regularly. In any case, most Airspeed subscribers also listen to UCAP. I sure do. We’ve had UCAP co-host Jeb Burnside talking about safety and Dave Higdon talking about aerial photography. But it remained to have pilot, author, and UCAP producer and co-host Jack Hodgson on the show. On UCAP, Jack spends much of his time eliciting reactions from co-hosts Jeb Burnside and Dave Higdon and directing the conversation. I had always wondered what it might be like to give Jack a free hand to talk about stuff as a featured guest. It’s not that Jeb or Dave crimp his style by any means. They don’t. But solo solo Jack is a different thing from UCAP Jack and I wanted to explore that. So I called him up earlier this year and he agreed to jump on Skype and hold forth for an hour or two. During the conversation, we talked about Jack’s flight training, airports, the pilot population, the aviation podsphere, and lots of other topics. There’s something in this episode for everyone. The episode crowds the two-hour mark, but that’s what the “pause” button on your media player is for. Yeah, I could milk it for two episodes’ worth of download stats, but it’s better to have the whole thing right there, all in one place. Please note that we recorded this in 24 May 2012 and it’s a little dated. Several opportunities intervened this summer that caused me to delay production of several episodes of the show. But better late than never. Especially after you hear the episodes that result from the stuff that diverted my attention this summer. Think you know Jack? Listen in! You Don’t Know Jack. Or Maybe You Do. Jack Hodgson of Uncontrolled Airspace has an undeniable connection with his audience. He is perhaps the most recognizable and approachable guy in the aviation podsphere. If you listen to aviation podcasts, UCAP is probably your favorite. And if some other aviation podcast is your favorite, you probably also listen to UCAP. I get the occasional reminder of this as I conduct my affairs in the aviation podsphere and elsewhere. Most reminders are very pleasant. Some are a come-uppance. I take all of them with the excellent humor for which I’m noted (at least in my own mind). 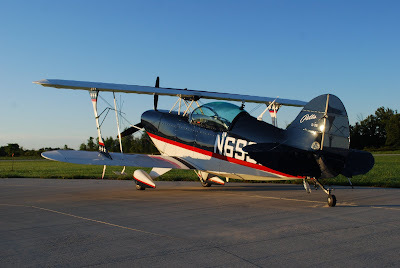 As the weather improves and one’s thoughts drift to events like Acro Camp, my mind wanders to something that happened at Acro Camp 2 at Ray Community Airport (57D) last year. I wrote to the UCAP guys around the holidays in 2011 to tell them about it. That e-mail is reproduced below for, with only minor edits, for your edification. There is no more upstanding and collaborative human than Jack Hodgson. I bow to his well-deserved ubiquity. I’m in the midst of my usual year-end rush as corporate lawyer guy, but I’ve set up some video and audio files from the Acro Camp movies so that I can begin editing again in January. That put me in mind of an event that happened on the second flying day of Acro Camp 2 this summer. There are a fair number of UCAP listeners among the Acro Camp applicants. As a part of the application, I provide a long list of aviation new media and social media outlets and ask the applicants which ones they consume. It has, for the last two years, been an interesting data point (and minor annoyance) that more of the applicants identify as UCAP listeners than Airspeed listeners. By a non-trivial margin. But I can live with that. So it’s Saturday. Day 2 of flying. Both IPs are up with campers. I’m sitting around in the terminal building offloading video from cards. I’m surprised. I’m pleased. My chest swells. I walk over to the radio and key the mic and respond that I’m the director and that Acro Camp is in full swing. It turns out that it’s a corporate flight crew up in the flight levels and it’s the FO talking on COM 2. They’re passing overhead, but might be in a position to come by after a stop in Pontiac the next day. Happy holidays. And f*ck you guys. Acro Camp 2 Now Filming! In case you hadn’t heard, we’re shooting a feature film this week. Airspeed’s intrepid film crew is at Ray Community Airport 25-30 August shooting Acro Camp 2 with a cast of four new pilots who will fly upside down for the first time. Follow all of the action at www.acrocamp.com. And, as a special bonus, Jack Hodgson of Uncontrolled Airspace and Around the Field is posting frequent updates at the Uncontrolled Airspace blog.